Aerospace Campaign in Syria: Did Putin kill ISIL's so-called 'caliph'? Aerospace Campaign in Syria: Did Putin kill ISIL’s so-called ‘caliph’? The statement came a day after Russia said it killed several senior leaders, 30 field commanders and up to 300 of their personal guards in an airstrike last month. Russian Aerospace Forces based in Syria have made significant gains in the first half of June, eliminating two Islamic State group field commanders and 180 fighters for the group, according to the Russian Ministry of Defense. Using unmanned aerial systems, Russian personnel struck Islamic State group facilities, disrupting the militants’ plans to launch a “breakthrough battle” on the defense lines of Syrian government forces in Deir al-Zor, according to the ministry’s statement. Anti-government rebels have sworn to work alongside United States forces to drive the Syrian Government from Deir al-Zor, which is currently the largest stronghold of the Islamic State group. “The preemptive airstrikes, which the Russian Aerospace Forces carried out on the sites of ISIL facilities on June 6 and June 8, killed ISIL field commanders Abu Omar al-Baljiki and Abu Yassin al-Masri,” Russia’s Interfax news agency cited the ministry’s statement as saying, using another acronym for the Islamic State group. 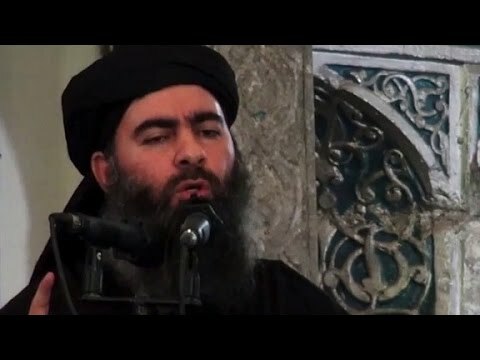 The statement came a day after Russia said it may have killed Islamic State group leader Abu Bakr al-Baghdadi in an airstrike last month that also killed several other senior leaders, 30 field commanders and up to 300 of their personal guards at a Raqqa command center. Washington said it could not corroborate al-Baghdadi’s death, which remains unconfirmed by the Islamists. In addition, the ministry noted that a total of 16 automotive and armored vehicles and tanks, one artillery, four control posts and an ammunition storage depot were destroyed in the strikes.